Austin was spared the wrath of Hurricane Harvey, but the destruction weighs on all of us here in Texas. What can we do as architects to respond to a natural catastrophe of such size? The first priority is humanitarian: saving lives and providing comfort and aid in every form. As I write this, people are still being rescued, hospitals face evacuations, flood waters remain, and two chemical plants have exploded. The tragedy is real and very human. The Texas Society of Architects is holding trainings sessions in safety assessment. 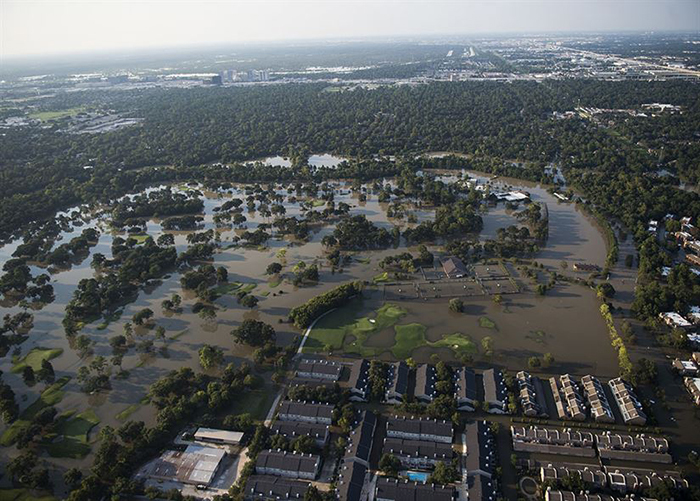 AIA Dallas has mobilized a disaster action committee. But the scope of the disaster challenges architects throughout the country as the long-term tasks of rebuilding begin. Tens of thousands of homes, businesses, civic buildings, schools, water systems, power plants, and factories will need remediation or reconstruction. Architecture, as we usually practice it, quickly comes up short in giving direction to follow. But that only means we need to define new paths. In figuring out how to proceed we make our profession useful and visible to the public at large. Modernists dreamed for decades about reconstructing the city in rational terms, but the realities of economics and politics always thwarted them. Collaboration was the siren call of modernist design education. The current crisis provides an opportunity to realize some of those dreams and to create new modes of collaboration. In principle, the federal government takes a primary role in recovery. The Federal Emergency Management Agency (FEMA), a division of the Department of Homeland Security, has moved into action in disaster recovery. It provides several assistance programs and manages the National Flood Insurance Program. The Small Business Administration provide its own stream of funding. Early estimates for residential property losses range from $25 billion to $37 billion. The governor of Texas has mentioned a figure of $150 billion. A half-million homes have been affected in an area the size of New Jersey. The National Flood Insurance Program is already more than $24 billion in debt from previous disasters. How effective such agencies will be in dealing with a catastrophe at this scale remains to be seen. Architects can and do have a direct advocacy impact at the levels of state, county, and city governments. We need to raise the questions that should be on the dockets when public entities confront rebuilding: where do people live and where should they not live, now and in the future? Do we reconstruct with the same techniques and materials normally used, or is there a better way to build in areas that are threatened by flooding? Houston was built on swamps naturally prone to flooding, but the city is not moving. Its medical center—almost a city in itself—secured its campus by having flood gates in place. What other techniques can mitigate against flooding and hurricane damage? How do we build with the resilience that climate change is demanding? We not only need to raise these questions, but we must lead in finding the answers. A second initiative involves new methods of rebuilding infrastructure. Architects ought to be engaged with these efforts, even if buildings themselves are not the tangible result. Conceptualizing new means of large-scale remediation for immediate threats to health and safety is essential—that’s a first step. Coordinating the infrastructure of buildings, transport and highway systems, power and human lives follows. These are ultimately design issues that are rarely integrated. We can lead in these integrative ventures and dissolve the differences between architecture and infrastructure. A third initiative suggests new approaches to the mass rebuilding of houses. The residential housing industry has highly effective techniques to produce massive numbers of dwellings at several scales. Yet the gap between the architectural profession and the housing industry is immense. We architects dismiss the entity that produces 95 percent of the housing in America. Why not join with the housing industry to help replace the vast number of residences that will need reconstruction? By collaborating, we can bring fresh insight not only to the design of the domestic residence but also to site planning. The look of a house is far less important to homeowners than to architects, but the siting of a home affects their quality of life daily. The planning and plotting of residential tracts has changed little for decades, and common practice ignores orientation and climate. If suburbs remain the staple for much of the domestic life that needs rebuilding, then let’s contribute to designing them. Finally, while Houston will be a major focus of reconstruction, small towns with limited resources will face their own challenges. The swath of destruction extends from Port Aransas in southern Texas into Louisiana. These communities could greatly benefit from the expertise of the architectural profession. After a summer of toxic politics and depressing social conflict, the challenge of Hurricane Harvey may provide a glimmer of the altruism we desperately need. Anthony Alofsin, FAIA, is the Roland Gommel Roessner Centennial Professor in Architecture at the University of Texas, Austin My thanks to William Richards for his helpful comments. After much silence, New York City Housing Authority (NYCHA) Chairman John Rhea revealed at a panel on Tuesday that the cash-strapped agency failed to adequately prepare for Hurricane Sandy. The super storm left 80,000 tenants without heat or power for several weeks, exposing the weak infrastructure and fragility of over 250 buildings, and also the agency’s disorganization. Crain's reported that Rhea outlined the three main lessons from the disaster, which boiled down to recognizing the magnitude of future storms and natural disasters, taking proper measures to protect vulnerable buildings, and accepting the reality that many residents will refuse to evacuate. Rhea admitted that NYCHA is under-staffed as a result of budget cuts over the years, which likely contributed to the agency’s poor response to the storm. On the upside, Mayor Bloomberg announced last week that the city will allocate $120 million to NYCHA to help in the recovery efforts. But Rhea said that will barely cover the $785 million in damage from Sandy. The agency is exploring other less conventional, and somewhat prickly, funding options such as leasing playgrounds and community centers in the middle of housing developments to private developers to build luxury high rises. Yesterday Rhea went in front of the City Council for the first time. According to NY1, he had to explain why NYCHA’s emergency response went awry. 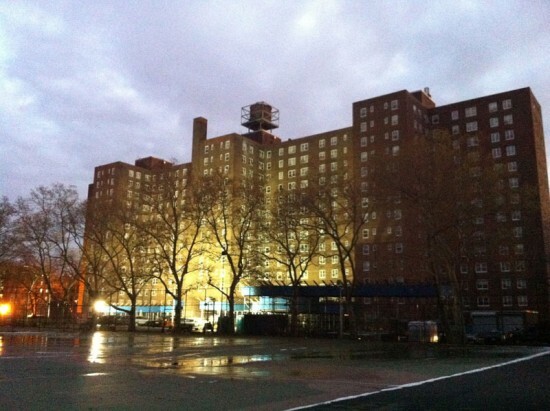 NYCHA is expected to present an action plan by next month.